Sunset Hole is a classic vadose canyon passage (SD742759) lying on the limestone bench between Meregill Hole and the massive doline of Braithwaite Wife Hole, which it approaches to the north-east. Water running off the Yoredale slopes of western Ingleborough drops into a shallow stream-way with scalloped walls – before dropping down two challenging cascades and finally a 15 metre waterfall into a large chamber; very close to the boulder choke at the bottom of Braithwaite Wife Hole. No doubt the view of the sunset from the entrances prompted the quite romantic name – but the stream responds rapidly to rainfall diverging from the catchment above and clouds any romance in unsettled weather. Sunset floods like a monster! The dry entrance to Sunset Hole, a splendid vadose cave draining water though 400 metres of passage to an impressive chamber. Stephen Oldfield. The main passage of Sunset Hole is some 400 metres in length, but a well- hidden diversion inside leads off through Lower Sunset, which emerges through a doorway-like entrance close to Braithwaite Wife Hole. This carries a small stream but it’s a different story altogether in wet weather. Things are far more dramatic within the depths of the Main Chamber. 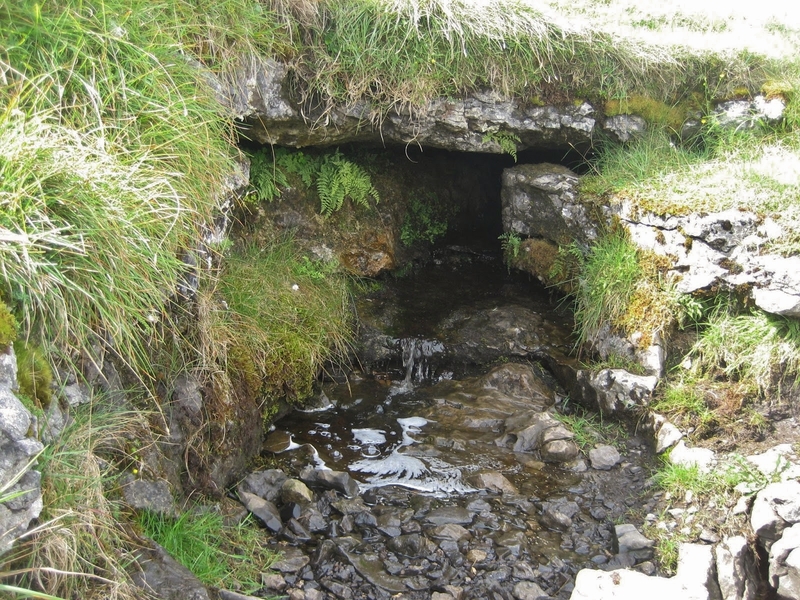 The link through to emerge at Braithwaite Wife Hole is now blocked, and the water links to Roaring Hole (accessed through a trap-door in the clints nearby) before making its way to the God’s Bridge resurgence at valley floor level. A 5 metre climb from the chamber leads to the Upper Series, including a notoriously tight ‘corkscrew’ descent through boulders to a 9 metre climb into the Rift Chamber. 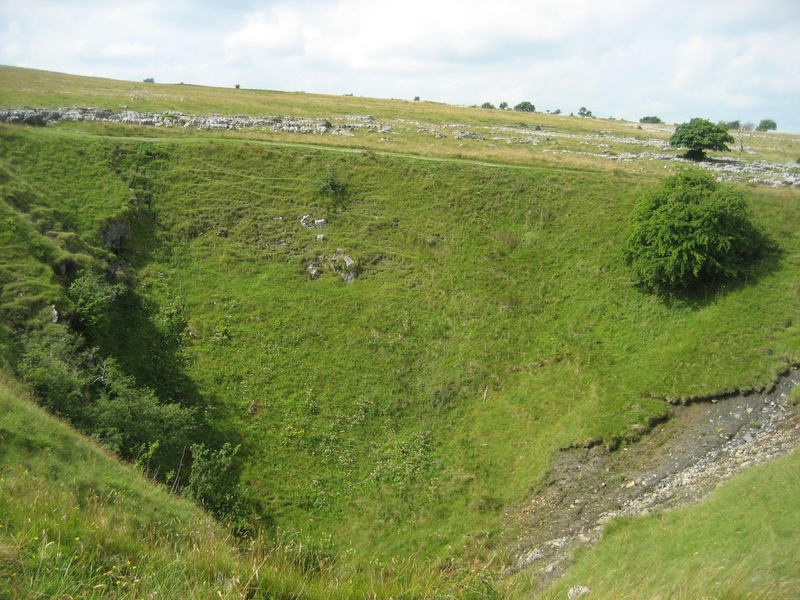 Hardrawkin Pot, (SD745768) surrounded by a wall about 500 metres to the north-east, is another classic sink into the Great Scar Limestone, and equally flood-prone. It follows a fault-guided joint to a 27 metre underground pitch – eventually meeting totally flooded passages to once again re-appear where basement rocks are met at God’s Bridge. Completing the picture is the brilliantly-named ‘Knacker Trapper Hole’ (SD745762). Presumably, females have an easier time descending through a blue plastic bucket than their male counterparts; for this is all the entrance appears to be; until a quick look inside reveals a sharp rib of rock ready to trap the delicate parts of anyone brave enough (or daft enough) to have a go. 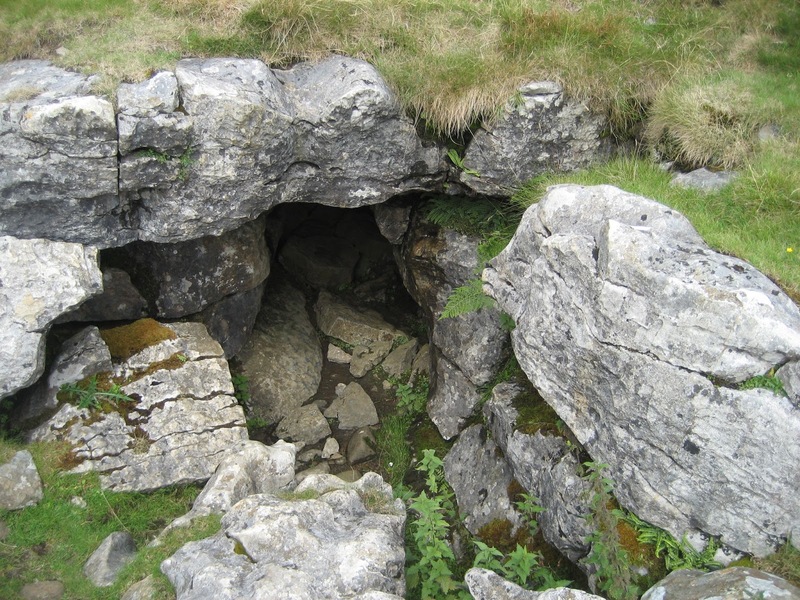 Beyond, the splendid Ingleborough underworld is both a challenge and a geological marvel, including the impressive University Challenge passage. 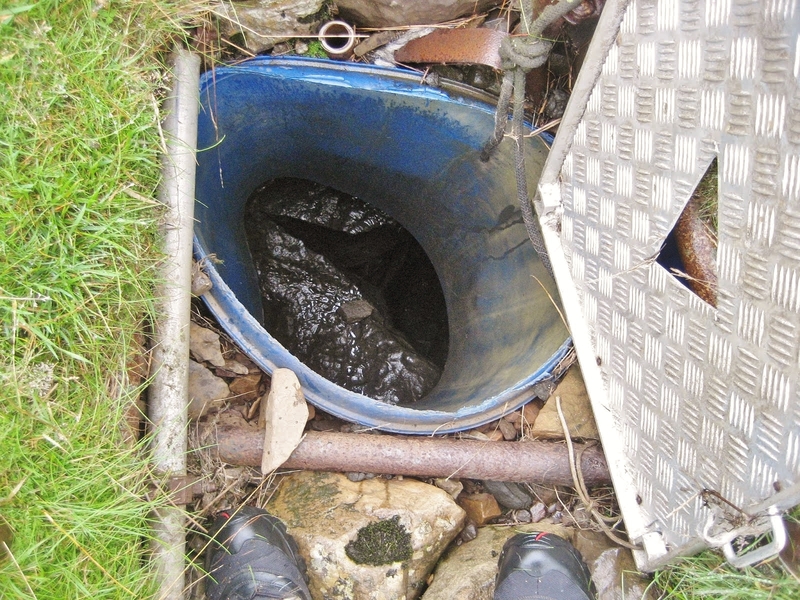 Knacker Trapper is a relatively recent discovery, having been explored to its limits by the Northern Caving Club in 1988. Its water eventually merges with the Sunset Hole stream inside Roaring Hole, on its way to the inevitable God’s Bridge.